We’re Livin’ the dream!’ It’s a catch cry that we hear people say all the time, but is anyone really doing it? In our instant iPhone everything world you have everything but don’t have the time to enjoy your trappings because you are flat strap busting your boiler earning enough money to pay for it all. We have become trapped on the treadmill, running faster and faster just to keep up. We all yearn for more freedom but it always seems to be just beyond our reach. Freedom is being able to slow down and have the choice to be able to do what you want when you want without pressure or limitation. To enjoy freedom, then, you need to have spare time on your hands. In our world, we can only regain our precious time if our income doesn’t rely on us to generate it. To do this, we need to use our active work income to invest in growing assets that will then replace our income. So can you really live the dream and, if so, how do you do it? Surprisingly, living the life you want and creating a lasting legacy is actually much simpler than you think. You just need to get clear on your Breakfree Numbers and then make them happen – combining your ‘Lifestyle Income’, ‘Nest Egg Number’ and ‘Breakfree Timeline’ to create your Freedom Number. This is ‘living by design’ – not by default. It starts by getting clear on exactly how you want to live. You need to create a vivid picture – what are you doing when and where? Paint out your perfect day, week, month and year. Then monetise it so that you know how much this lifestyle costs per year. As a guide, a Lifestyle Income of $120,000 a year will give you a comfortable lifestyle when you stop work. How do we generate this? By building the value of your passive income producing investments to the level that will provide and sustain your lifestyle income. Using an average return of about 5% a year leads to the 1 to 20 rule. Just times your lifestyle income by 20 to get your ‘Nest Egg Number’– using $120k a year x 20 means you need income producing assets worth $2,400,000. 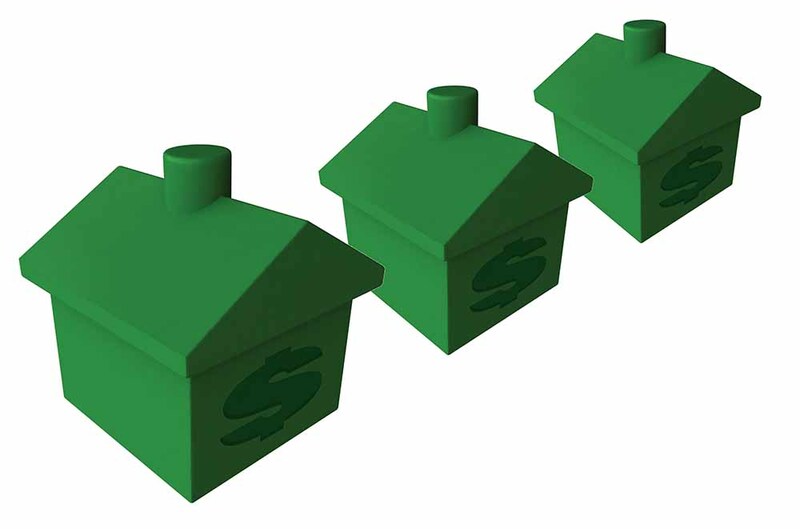 is by investing in property as time, the tax office, the tenant and capital growth will do all of the heavy lifting. Here is the good news – if your ‘Breakfree Timeline’ is 20 years until you want to stop work, then you only need 2 rental homes now to do it – your Freedom Number is only 2. If you only have 10 years left, your Freedom Number doubles to 4 rental homes. So just 2 to 4 high-growth affordable rental homes can grow your nest egg to a level that can be converted to your ongoing income stream so you no longer have to work. You have then regained your time to do what you want when you want. And by living off the proceeds of your nest egg you preserve it so that you have a sizeable legacy to secure your family’s long term future. While your Nest Egg Number initially looks scary, most time-poor professionals can secure 2 to 4 investment properties, and clever structuring can ensure this is achieved without impacting on your lifestyle. It just needs to be done properly and unfortunately only 5% of property investors get it right.